New York City tells the tales of its past through art, architecture, food, and landmarks. Yet with the fast pace of the city, it can be hard to truly take it all in. That’s where historical tours come in. Across Manhattan, knowledgeable guides are bringing the history that surrounds us (and that we often walk right by) to life. From the earliest history of New York as a Dutch settlement to the opportunity to board an historic aircraft carrier, here are our 5 favorite historical tours in NYC. 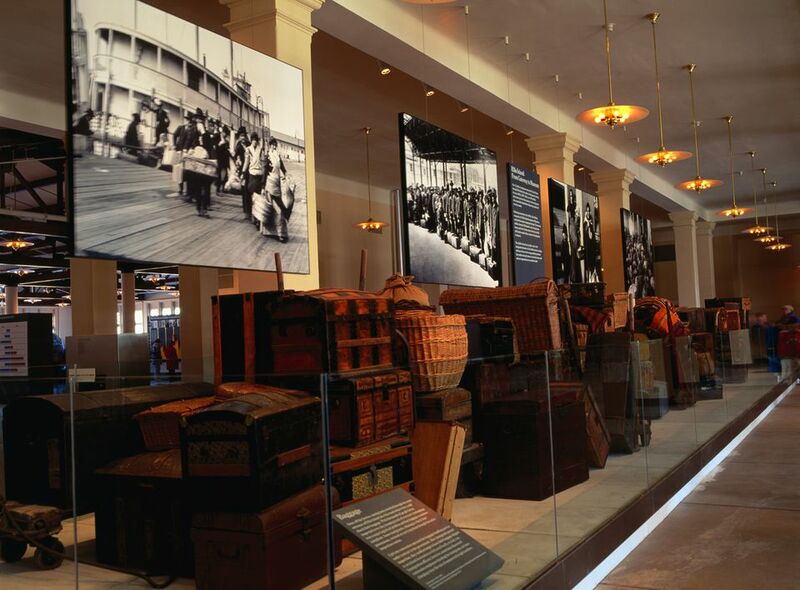 New York is a city of immigrants, and for many new Americans, their story began on Ellis Island. Follow in their footsteps with this 4.5-hour guided tour with New York Tour1, kicking off with a boat ride in New York Harbor. The first stop is Liberty Island, home to the Statue of Liberty, which served as a symbol of welcome to millions of immigrants. After a guided tour of the museum in the statue’s pedestal and a stroll around, the tour continues back on the boat as it sails toward Ellis Island. For many immigrants, their story continued on from Ellis Island to the tenements of New York’s Lower East Side. This 3-hour tour with Urban Oyster is an on-foot exploration of one of Manhattan’s largest melting pots, home to Italian, Irish, and Jewish settlers, among others, over the years. This tour begins at City Hall with a Dutch snack before winding through the narrow streets of Chinatown and Little Italy. Stops will include everything from historic synagogues to a century-old bakery to the recently revitalized Essex Street Market. The most comprehensive history tour of New York City is found downtown, in today’s Financial District, where Manhattan as we know it first began. This 90-minute walking tour with Wall Street Walks begins on Wall Street – named by the Dutch during the 17th century, when Manhattan was still New Amsterdam. The street today marks the northern extremity or “wall” of that settlement. This neighborhood is also dense with landmarks dating back to the American Revolution, including Federal Hall, where George Washington took the oath of office as the first President of the United States. In Manhattan, a rich history is often right under our noses. One of the best examples is Rockefeller Center, known today for its annual Christmas tree lighting and iconic ice-skating rink, but actually an important historical site in its own right. This 75-minute walking tour is led by a local historian and explores the history of Rockefeller Center from its Art Deco buildings to the Radio City Music Hall to its extensive displays of art, including sculptures and murals. This tour is a particularly good fit for art and architecture enthusiasts, with in-depth coverage of 30 Rockefeller, formerly called the GE Building, which is home to the viewing decks of Top of the Rock and a major Art Deco landmark dating back to 1933 (it was here that the famous photograph of workers sitting on a beam high above the New York City skyline was snapped). History is brought to life aboard a floating landmark at the Intrepid Sea, Air & Space Museum. The USS Intrepid, a 900-foot-long aircraft carrier, is docked in the Hudson River and contains a wide range of exhibits spread throughout four decks, including a space shuttle, spy plane, submarine, and a hands-on flight simulator. Take your museum visit to the next level by joining a guided tour. Several different options are available, including tours that cover the USS Intrepid in World War II, Intrepid 101 (that covers the basics, including the flight deck), Concorde: A Supersonic Story (an exploration of the fastest airplane to ever cross the Atlantic Ocean), and Space Shuttle Enterprise: Up Close and In Depth.